Live music five days a week, with Soul on Tuesdays; Motown on Wednesdays; and floor fillers Thursday - Saturday. The underground Restaurant & Club at 100 Wardour St is inspired by Soho’s spirit of fun and indulgence, and of course its musical roots. Food is served until 2am, with an eclectic menu featuring the likes of tuna tartare, beetroot & goat's cheese salad, and our famous Surf & Turf. Enjoy live music 5 nights a week, with Soul on Tuesdays, Motown on Wednesdays, and party hits Thursday - Saturday, and of course our imaginative bar menu designed to fuel your night perfectly. Everything was lovely! Thank you. A very buzzy atmosphere - live music was good although did make it bit difficult for conversation at times. 3 course meal with flowing wine very good value for central London and there was plenty of choice at each course so all 3 of us found things we could enjoy. Service friendly and attentive, all in all a good evening out and somewhere to remember for future occasions. Excellent! Music, food, service, I will come back soon! I went to Wardour St. to celebrate my friends's birthday and was fantastic, we had fun, the food is great, and everybody dance after the dinner at the dancefloor! Had a great Wednesday night celebrating a birthday. Staff were courteous and friendly, food was surprisingly excellent and not expected since 100 Wardour doubles up as a bar/club. Had an excellent time with the live singer, Otty and band. Would definitely recommend and definitely take up the Open Table special offer, which I failed to do, hence paid a lot more than I should have. Excellent! Perfect for brunch with your friends! We really has fun! Very good food and music !! Thank you for the amazing service !! Overalt good quality food, a couple of dishes were less enjoybale but overall good. A little clubby in atmosphere and there a very high noise level so one should be ready and fine with that to enjoy the dinner. In the higher end of price range for what you get. Will be back again as usual. The vegan and veggie menu is delightful!!! Brooklyn shakers made us dancing all night. Thank you 100 for the great service!!! Staff are friendly atmosphere is good food was great value for money and the live entertainment was perfect. 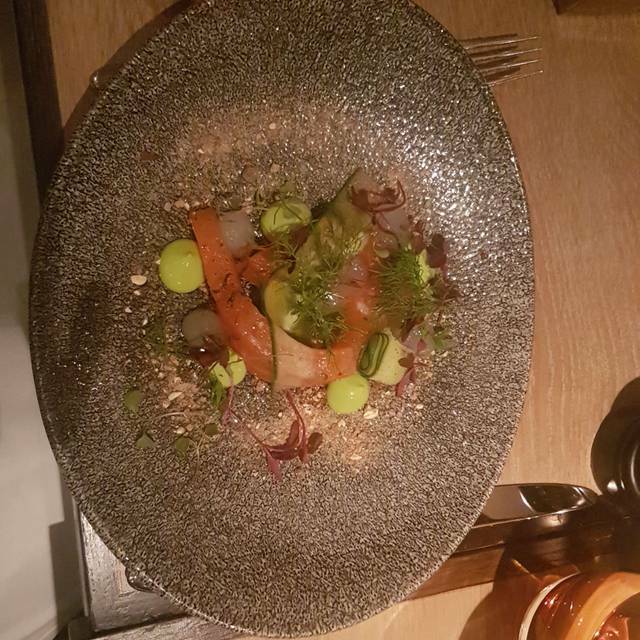 My gf and I were due to dine at 100 Wardour Street on Valentine's Day but had to cancel due to sickness so we decided to celebrate there on another date. We enjoyed ourselves hugely. Perfect ambience. The food was superb. Wine excellent. Service attentive but not intrusive. The live band was really excellent. We will return again very soon. Highly recommended. Thank you for the amazing experience!! The ambiance and service is really good. Cool music and vibe going on. Unfortunately the food was really bad, and prices way too high for what you get. The menu looks very promising, but the food has no taste at all... Was very disappointed. But want to stress that the service was amazing :) one meal got deducted because we were unhappy, which was good. Overall good enjoyable time. Service was slow considering the place was half full . Often had to get up and find a waiter, to get a waiter to respond . We had great night, the service was good. Kinem looked after our table he was so kind and nice to us. The venue boasts attempts at sophistication and the staff and food were delightful. The live music, albeit very talented, was so loud that we were having to shout at each other and found it hard to hear. I sincerely hope the music volume is slightly altered for the future as it is a wonderful place.